Inherent in the principles of Chinese Medicine is the fact that there is a dynamic interplay between the mental, emotional, spiritual, and physical aspects of our being. In Chinese Medicine it is believed that the body has the ability to heal itself when given the harmonious and supportive conditions that nurture health. 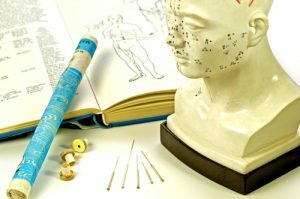 Acupuncture and Chinese herbal medicine are two of the modalities of Oriental Medicine that have now become widely accepted as effective treatments of alternative healthcare. Traditional Chinese Medicine (TCM), both an art and a science, has been practicd in China for over 5,000 years based on the understanding that any illness or symptom is the result of an imbalance of energy within the body as a whole and therefore the whole person must be addressed; body, mind, emotions, and soul. The goal of this medicine is always to address the cause at its root and not just the symptoms. All symptoms whether they are physical, mental, or emotional are seen as an expression of imbalance and represent an attempt to re-establish balance. Symptoms naturally resolve when balance is restored. In the last decade we have expanded the application of acupuncture to include a ‘needless’ technique which uses vibratory frequencies in the form of micro-current, sound, and or light to stimulate the acupuncture points and balance the energy. The World Health Organization (WHO) has listed 104 conditions that may be benefited from acupuncture treatment and in addition, the National Institute of Health (NIH) concluded that acupuncture can help with: post-operative and chemotherapy nausea and vomiting, addiction and stroke rehabilitation, anti-depression, anxiety attacks, mouth ulcers, chronic fatigue, and low immunity. Acupuncture has been a major part of healthcare in China for 5,000 years, it involves the insertion of fine, sterile, stainless steel needles into specific points to stimulate the flow of ‘Qi’ (energy), blood, and fluids and harmonize the system. This restored balance results in a general increase in circulation, reduction of pain, and a more optimum level of health and well being. Acuphoria is a calming, de-stressing acupuncture treatment with a focus on stilling the mind and calming the heart to establish a natural state of euphoria. Acuphoria is a gentle and amazing introduction to an ancient art and science. Acutonics is acupuncture without needles; the application of sound frequencies using specifically calibrated tuning forks to balance and harmonize the flow of energy. This therapy is designed to calm the sympathetic nervous system and assist in restoring parasympathetic functioning. It us known to provide a tangible and immediate experience of stress release. This is an assessment and energy balancing treatment. It identifies an energetic stress response to specific items and provides feedback that encourages balance and support by offering a harmonizing frequency. Classical formulas continue to be powerful and effective today in addressing arthritis, fatigue, menopause, PMS, asthma, and more. Chinese medicine offers herbal, dietary, and lifestyle recommendations based on individual needs. This is a gentle, dual application of sound frequencies through the auditory and meridian systems to bring about an immediate release of stress and restore balance. This harmonic massage of the meridians helps release stored emotions. Healing is found naturally within the wisdom of your body and the power of your mind.